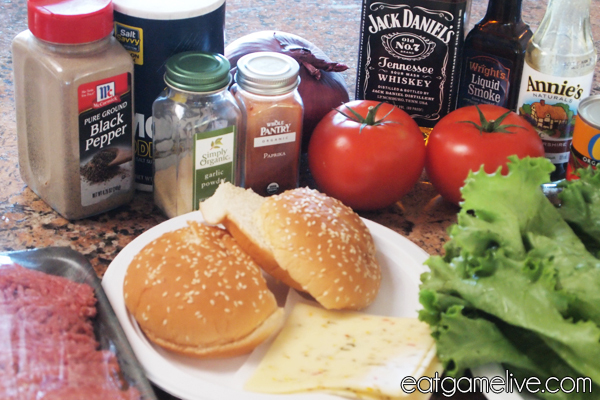 I did a little research about Jack Daniel’s burgers prior to crafting this recipe. 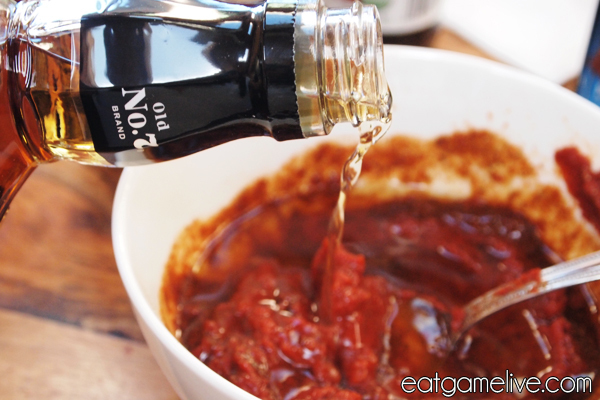 A lot of them used the store-bought Jack Daniel’s sauce to just baste burger while it cooked. That’s all fine and dandy, but personally, I’m not a big fan of basting burgers. That’s why I devised this plan to just inject these burgers with a healthy dose of whiskey — and I guess some other ingredients too. Prep time should be about 20 minutes. Cook time is about 9-10 minutes per burger. This recipe will feed make 6-8 burgers. You can scale the ingredients to accommodate more people. Mix the following ingredients in a small bowl: salt, pepper, paprika, and garlic powder. Add in your tomato paste. Add in your worcestershire and liquid smoke. Stir to combine. Add this mixture to your ground beef. You may need to use your hands to properly combine the ground beef and this sauce mixture. Set your grill to high heat (if you don’t have a grill, place a pan on high heat). Begin shaping your ground beef into round balls (about 1/4 lb). Gently press the balls flat until it forms an even hamburger patty. Place your hamburger patties on the grill. Let cook for about 4-5 minutes on each side. Place a piece of jack cheese on the patties. The cheese should melt after about 30 seconds. 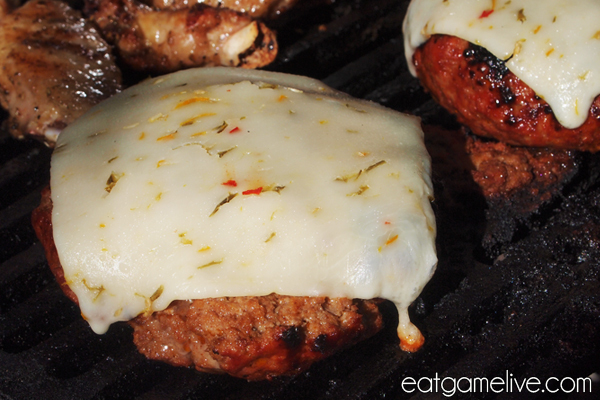 When the cheese has melted, remove patties from grill and set aside. There were also chicken wings on the grill! Om nom nom nom. And that’s all you need to craft these dangerous burgers. So, be a good minion and start cookin’ up some burgers for you and your vault hunter friends. I’ll be updating the Facebook page with previews of upcoming recipes. So please give a big “like” for Eat Game Live on Facebook. This entry was posted in borderlands, sandwich by admin. Bookmark the permalink. You, sir, are a gentleman and a scholar. Found your site through reddit and I love it. Keep up the great work! I wish I knew how to cook now, this is amazing! I love the Video Game twist you put on your foods, it is genius! I wish I could say my blog was at all interesting. For me though it’s an assignment from my English class. I believe that anyone can cook as long as they try. I’ll keep an eye out on your blog (looks pretty good so far). Good luck with your assignment! I made this burger the other weekend and needless to say it was a hit. I do have a question though. Tomato paste comes in two can sizes, 6 oz, and 3 oz. I bought the 3 oz can and used the whole can. My issue wasn’t with taste as it was delicious (and now being requested by my family again), but I had a hard time keeping the burger together. Is that just something with the recipe, and if it is that is just fine (I will just use a bigger spatula), or did I use too much paste? Using tomato paste as a bonding agent for the whiskey is genius btw. Thanks for the question! I haven’t seen 6oz cans of tomato paste before, so I assumed that they only came in 3oz cans! But, as clarification, I’ll note that in the recipe. I am glad that your burgers turned out tasty though! Regarding the patties falling apart: one of the main reasons why burgers fall apart is that the burger patty is not compressed enough when they’re being formed. Another possible reason is that during cooking, the patty has not properly seared (under or over seared) on both sides. This can be caused by over flipping the burger or pressing down on the burger during cooking. 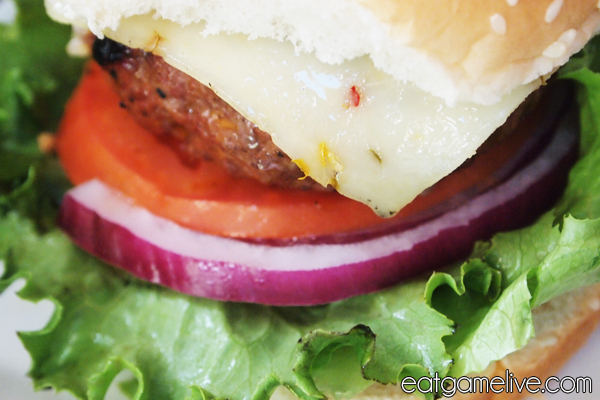 Pressing down on the burger will make all of the juices come out and may over dry the burger. These are all fairly common reasons why burgers typically fall apart during cooking or during eating. Hope that helps! Good luck on your next batch of burgers! I believe my issue was compression then, They tried to fall through my grill. I am also a strict adherer to the single flip rule and never pressing burgers on the grill…thank you for your help!